Thank you for visiting this site. 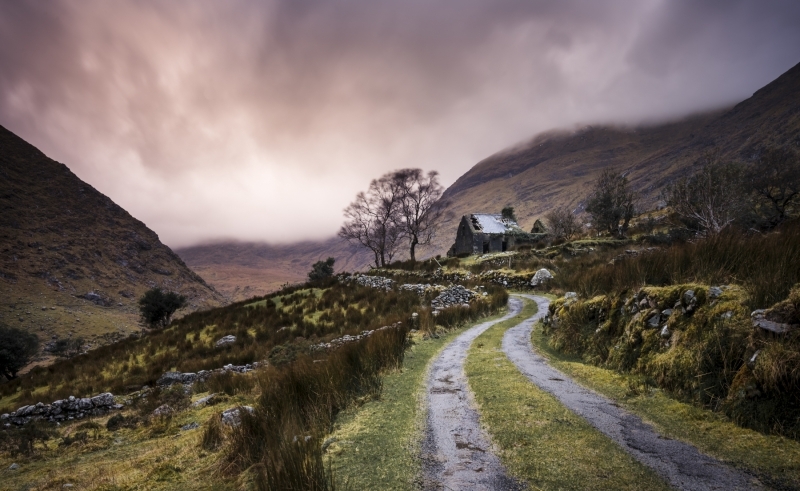 I am lucky, having lived in Ireland all my life, there are few better countries in the world for Landscape Photography. 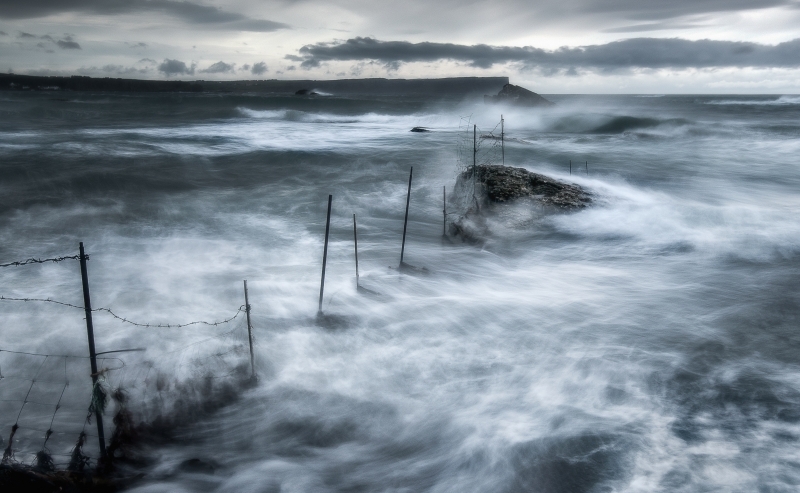 I call myself a landscape photographer, but if truth be told, I’m a seascape photographer at heart. Being close to water is my happy place regardless of the weather conditions. I’m sure it’s a cliché, but there is an inner calmness to be found sitting beside the water and listening to the waves washing in. Sometimes they lap in gently, other times they crash violently against the shore. Regardless of the weather, I keep finding my way back to the coast-line. I don’t have a definitive style, instead I dramatize what lies before me at any given time. 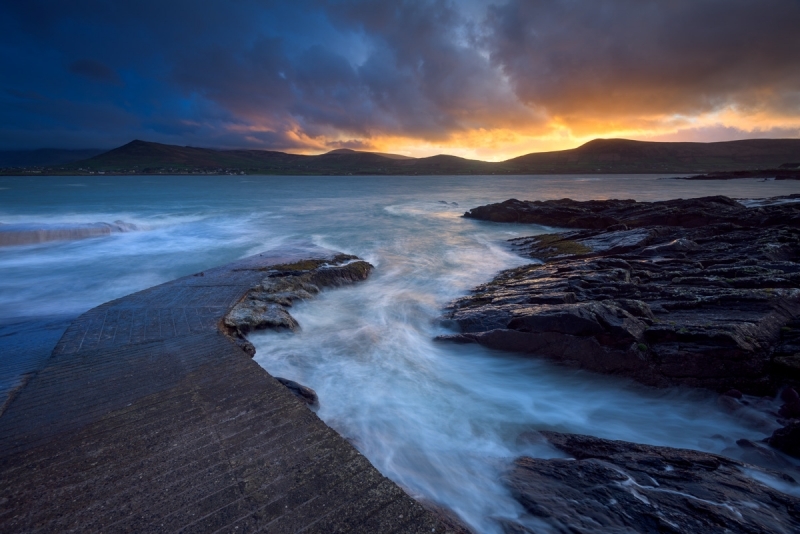 Ireland is an amazing location for landscape and seascape photography alike. The variety which can be found on such a small island is amazing. 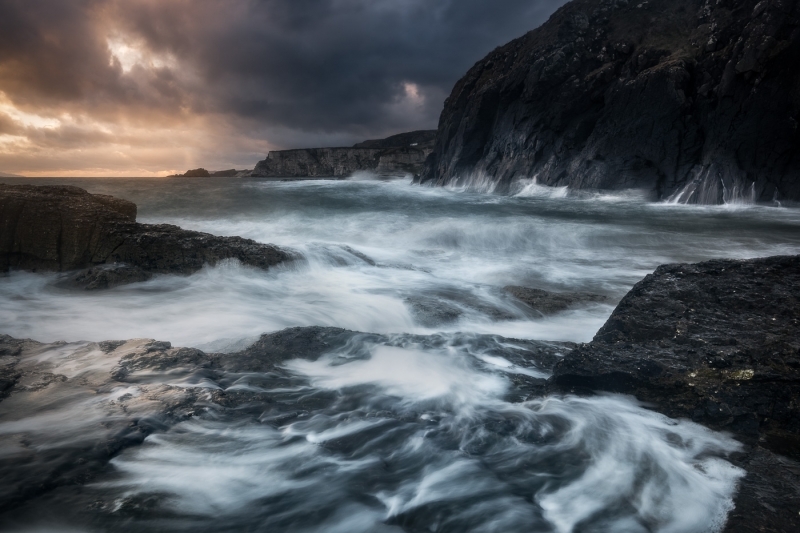 From the sandy beaches of the east coast to the rugged wind swept cliffs of the Wild Atlantic Way with mountains and bog-lands in between. 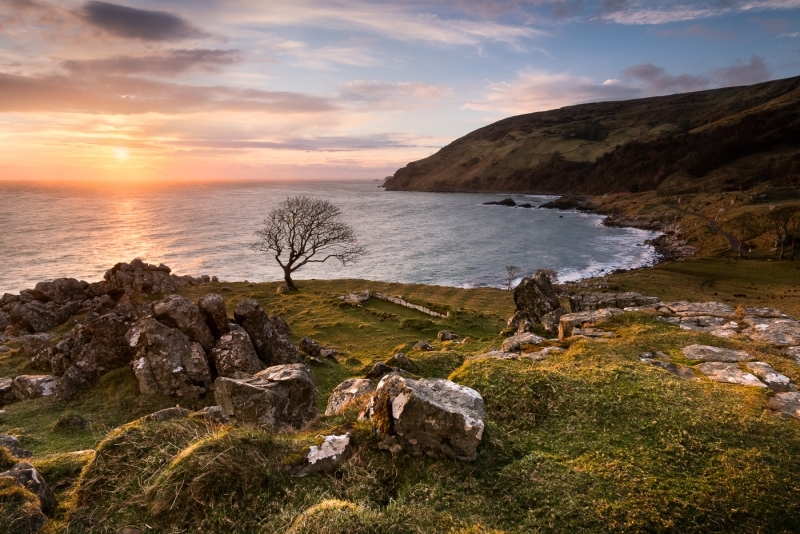 Not forgetting the world renowned north coast and the many secret coves of our southern shoreline. There are scenes worth shooting literally everywhere. My lifetime will be spend visiting & re-visiting my favourite locations. Each location is different on any given day. 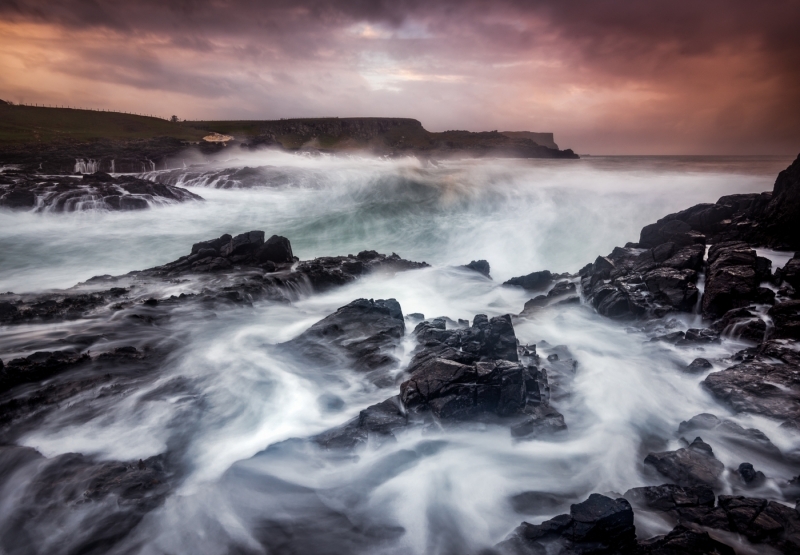 The changeable Irish weather, winds and tides open up countless opportunities to create unique images on every outing. I started out in photography in my teenage years. Film cameras were the only option available. Little success was achieved in the early years. 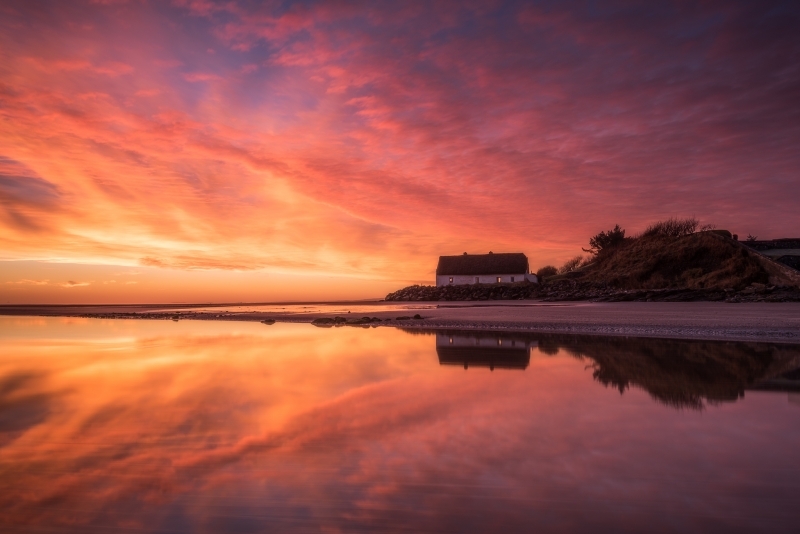 I often failed to convey in my images the scene visualised in my mind. The camera eventually got relegated to a dusty attic. Years passed, before I knew it I was going to be a dad. It was time to get a decent camera again. Luckily or unluckily, this coincided with a nasty shoulder injury. Being a long distance open water swimmer all of my life, it was a tough blow. The closest I could get to the water was a walk on the beach. Before long, that newly purchased camera was coming along. My love of seascape and landscape photography was born. 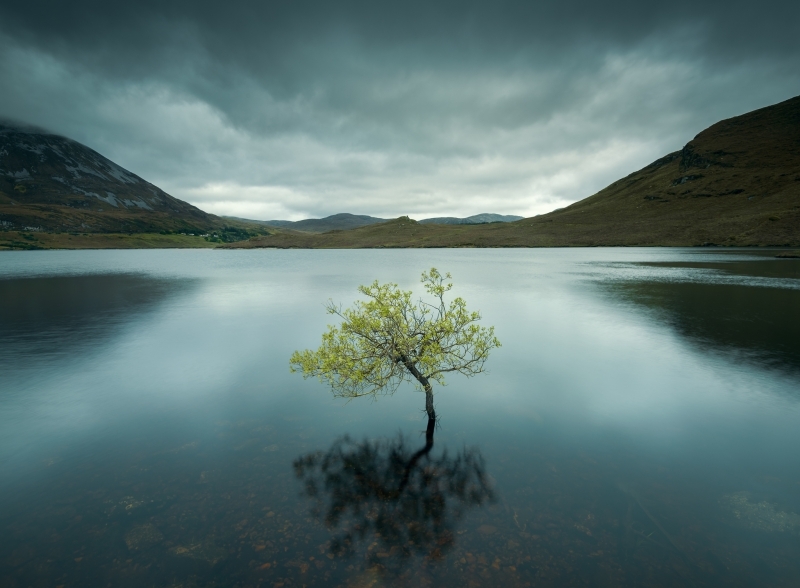 Works have featured in Digital Camera Magazine & the prestigious Lee Filters Xposure Magazine. I have written articles for Lightstalking.com. Competing at club, national and international level, awards have been achieved at all levels. 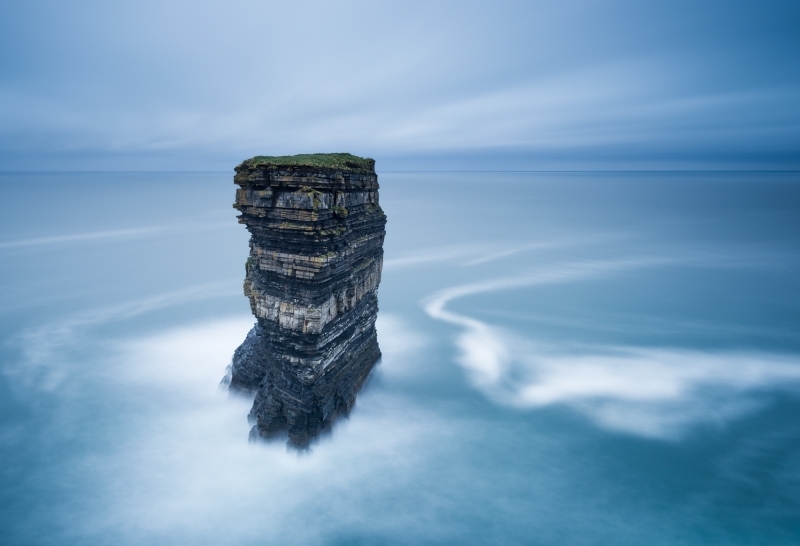 A gold medal at the Irish Photographic Federation Photographer of the year was won in 2016 in the seascape section. The first solo exhibition of work was held at Easter 2017.